Membrane proteins have major roles in a wide range of biological functions including uptake of essential nutrients, export of toxins and waste products and mediating the cellular responses to a variety of biologically active molecules including many drugs. Our understanding of these important proteins is currently limited by a lack of high resolution structures. Recent research in our group in collaboration with Prof Alexander Cameron, University of Warwick and Prof George Diallinas, University of Athens solved the structure of the dimer of UapA, an integral membrane transporter from Aspergillus nidulans. This provided detailed insights into the mechanism of action of the protein as well as shedding light on how individual transporter molecules in a dimer arrangement can affect each others function. Dimer of UapA showing the close proximity of residue Arg481 of one monomer to the substrate binding site of the other monomer. 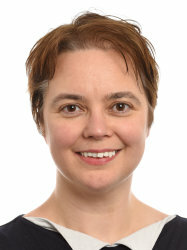 Current work is aiming to understand the role lipids have in structure and function of transporter proteins in collaboration with Dr Argyris Politis, Kings College London and obtain detailed insights into the mechanism of action of G-protein coupled receptor heterodimers in collaboration wtih Dr Aylin Hanyaloglu, Imperial College London. The structure-function studies of integral membrane proteins however continues to be a major challenge. These proteins are difficult to express using recombinant technologies. Their highly hydrophobic and often dynamic nature makes them unstable in solution. In addition, the requirement that they are maintained in solution as detergent-protein micelles makes them significantly less likely to crystallize than soluble proteins. One key focus of my group is the development of methodologies and techniques to facilitate the production of stable protein for structural studies. This includes the development of specific protocols for large- scale production of stable, functional membrane protein and the characterization of novel amphiphiles to increase the stability of membrane proteins prior to and during crystallization. Other research has focused on the development and characterisation of novel amphiphiles for solubilisation and stabilisation of integral membrane proteins. This has lead to a number of high profile publications, one of which was featured as a cover image for Chem Comm (left). An additional activity of the group is to develop novel methodologies to investigate membrane protein aggregation. Aggregation or non-specific association of membrane proteins is highly disadvantageous for further studies, including crystallization. Aggregation is also a problem for the production and long-term storage of biopharmaceuticals, an increasingly common form of therapeutic. My group have joined forces with Prof Sergei Kazarian of the Department of Chemical Engineering to investigate the use of ATR-FTIR chemical imaging as a tool for studying aggregation of both biopharmaceuticals and membrane proteins. ATR-FTIR spectroscopic imaging of protein aggregation. A long-standing collaboration with the Department of Science and Technology Laboratories (DSTL) on the pathogenic bacterium Yersinia pestis aims to identify and characterise novel vaccine targets and understand mechanisms of host immune system evasion through structural and functional studies of key bacterial proteins.This research has expanded to allow study of proteins involved in negative regulation of the innate immune response both as part of the normal homeostasis and as a mechanism of pathogen evasion of the host immune response in collaboration with Prof Ding Jeak Ling, National University of Singapore. The research activities of the laboratory are/have been funded by BBSRC, EPSRC, MRC, GlaxoSmithKline, DSTL, EU FP7 and H2020.